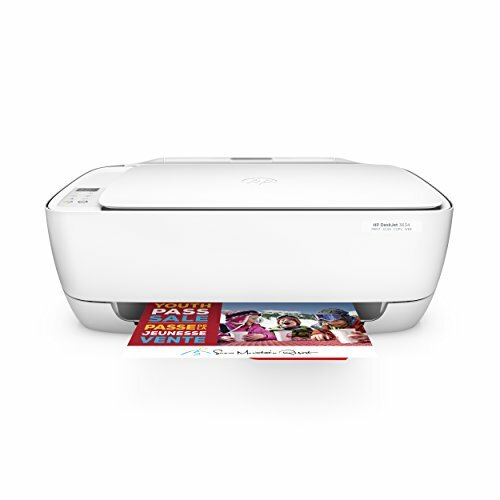 Affordable, quality printing with HP Instant Ink: Save up to 50% on ink. Original HP ink—ordered by your printer, delivered to your door. Full of value—print up to twice as many pages with Original HP high-yield ink cartridges. Get high-quality prints—time after time—using the world’s No. 1 printer brand. Easy mobile printing: Connect your smartphone or tablet directly to your printer—and easily print without accessing a network. Manage printing tasks and scan on the go with the free HP All-in-One Printer Remote mobile app. Everything you need—right away: Simplify your tasks. The display panel features simple icons for controlling print, scan, and copy functions. Put your best print forward. Create borderless photos, flyers, and other documents—right in your home. Get up and running right out of the box and automatically connect to your wireless network.